Governor Bickett’s administration marked the beginning of the juvenile court system and the improvement of education. Image courtesy of the North Carolina Office of Archives and History, Raleigh, NC. Thomas W. Bickett, a native of Monroe and graduate of Wake Forest College, studied law at the University of North Carolina. After a brief tenure in the state House of Representatives, he served as North Carolina attorney general from 1909 to 1917. In 1916 he was elected governor. Inaugurated on January 11, 1917, Bickett’s gubernatorial administration included the beginning of a juvenile court system, the expansion of the state’s roads and improvements in education, and the prison system. Bickett’s major contribution, however, might be his leadership of the state during the World War I era. Bickett exemplified southern nationalism in his vigorous support for President Woodrow Wilson, and his efforts included campaigns for conservation, the draft, and bond drives. Other prominent North Carolinians also contributed to the war effort: Walter Hines Page, ambassador to Great Britain; Josephus Daniels, secretary of the Navy; and United States Senators, Lee S. Overman and Furnifold M. Simmons. Even so, Claude Kitchin, congressman from eastern North Carolina and House majority leader, vigorously resisted intervention and voted against the war resolution. After Congress declared war, however, Kitchin backed the president. From April 6, 1917 until the armistice, Bickett led a state united for war. In an address to the students and faculty at the University of North Carolina, Bickett explained his case for war. The United States, he argued, had to show gratitude to France for her help in the Revolutionary War, and it also must defend Christian, democratic civilization from German militarism. Working with federal authorities, Bickett established the North Carolina Council of Defense, an extensive state and county-level volunteer organization for implementing war policies. In addition, a women’s state Council of Defense recruited women to fill places vacated by men who left for war. About eleven thousand women enrolled and worked for Liberty Loan drives and Red Cross work. Contrary to national policy, North Carolina and other southern states did not organize councils of defense for African Americans, for Governor Bickett argued that a formal black organization threatened social order. The governor also pushed conservation efforts on the home front. In April he created the state Food Conservation Commission that led a four-month drive to increase and conserve the food supply. Bickett was chair of the commission that organized groups in each county and set up local corn, pig, and tomato clubs for young people. The commission urged citizens to plant gardens and for farmers to reduce tobacco and cotton production. North Carolinians had the patriotic duty, Bickett believed, to produce more food for themselves and for their European Allies. In a high school commencement address in 1917, Bickett suggested that school children learn the three B’s: Bickett’s “Bread, Bacon and Buttermilk,” instead of the three R’s. Bickett also had some unusual suggestions. He challenged professional baseball players to disband and join the army or work on the farm. Spectators likewise could join in those agricultural pursuits. He criticized “joy riding” as a waste of fuel. He refused to attend a barbecue because he believed farmers should not be wasteful and allow pigs to mature to full size before slaughtering them. He offered elaborate instructions for drying fruits and vegetables in tobacco barns and for storing cabbage without making sauerkraut. A more controversial program placed chain-gang labor on vacant farms to grow food. Counties rented the farms from landowners. By August from conservation efforts overall, North Carolinians increased acreage for food and feed crops from twelve-percent to twenty-five percent. Conservation efforts in 1918 succeeded with food production being four times that of 1917. Rationing and enduring wheatless and meatless days paid off for North Carolinians. Implementing the draft that Congress had created in May, 1917, proved to be Bickett’s most difficult task. He established draft boards in each county and major cities. The War Department in Washington slated June 5 as the registration day, and Bickett appealed to newspapers and local leaders to push for recruits. His pressure succeeded with the state enrolling 106% of its quota. The draft on July 20 brought some problems at the local level with boards not following procedures. The president of the state’s Farmers’ Union opposed the draft and this embarrassed Bickett since the governor had given him a political appointment. The North Carolina Council of Defense censured that official, but the controversy died when he eventually pledged his support for the war effort. War brought racial tensions to the North Carolina home front. The migration of southern blacks to the North and Midwest during the war created a labor shortage for the state’s factories and farms. 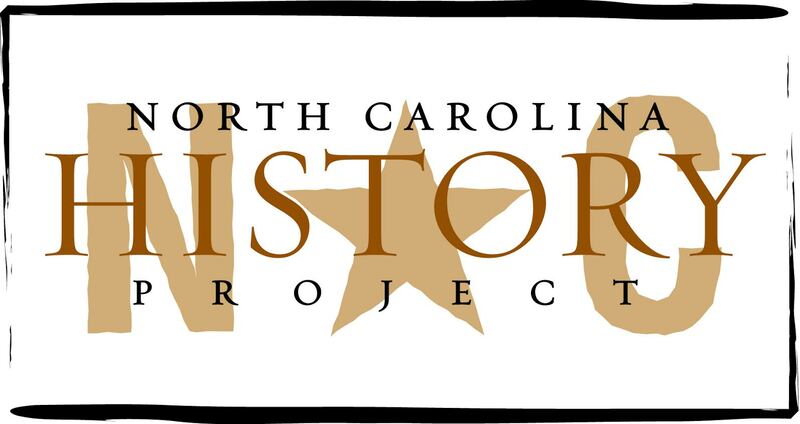 By August, 1917 approximately twenty thousand African Americans had left North Carolina. Bickett dealt forthrightly with the problem. To black audiences he complimented their patriotism and stressed the need to work for freedom from the sharecropping system. He reminded them of racial unrest in East St. Louis in July, 1917 and that the South remained the best place for them. He also noted that there had been no lynchings during his time in office. At the governor’s insistence, law enforcement officers arrested several labor agents who had allegedly broken the law in recruiting African Americans for jobs in the North. Some black leaders used the threat of migration as leverage for higher wages. Meanwhile, any race riots were absent in wartime North Carolina. In the fall of 1917 the governor led a successful Liberty Loan campaign. The first one, early in the war, had failed to reach its goal. An enthusiastic Bickett, however, later enlisted county sheriffs and mayors in the cause. This effort was successful; North Carolina raised $10 million over its quota in Liberty Bond and War Stamp sales. In western North Carolina, forty armed deserters resisted the draft in June 1918, so Governor Bickett intervened personally to end the standoff. He convinced the deserters of the fairness of the draft by declaring that both the “pool-room aristocracy and the coca-cola gentry are going to be rounded up.” Near the end of the war, the governor lobbied the congressional delegation to vote against an extension of the draft for fear that opposition to the draft would increase. Bickett also served as president of the North Carolina division of the League to Enforce Peace and as a member of the national executive committee. This nonpartisan group promoted Wilson’s League of Nations. Bickett took pride in the state’s contribution to the war. He declared that his most important accomplishments were the 80,000 troops and approximately $250 million in financial drives produced by the state for the war. The euphoria of the armistice, however, was lessened by the Spanish flu epidemic, which by October 1918 had claimed the lives of approximately 8,000 North Carolinians. After his term ended in January, 1921 Bickett returned to practicing law and passed away on December 22, 1921.